Here is my story, I have worked my entire life from my first job being a paperboy, working at fast food restaurants after high school day was over, bagging groceries while working my way through college and trade school. I began my first real job as a computer operator and worked my way to being a software developer. I have worked in the same industry for almost thirty years, I enjoyed my job, it was my life, I always looked forward to being with people at work, the social contact, and the meetings. Then the day came when I was told I was a part of a resource action, and everything came crashing down. When I was working, I got married, helped raise my stepsons, did the vacations every year, purchased a home which I refinanced a few times, and still paying off the mortgage, have a small nest egg with my 401k. I own a vacation home that is paid off in a beach resort in Thailand which I rent during the peak season, it all sounds good right ! After being laid off I tried seeking job opportunities but soon found out that because of my age and being over qualified I have now starred in my own Twilight Zone, I have become irrelevant. I have tried to keep myself busy writing blogs on my favorite political sites, created vlogs on my travels to Thailand, I swim a lot in the pool, and watch a lot of TV, I pull weeds in the backyard. Yet I feel that life has run its course and their is nothing left for me to do. I worry about finances, I worry about health, and I worry about the brown spot on grass lawn in my front yard. I have always had a hard time dealing with stress at work with meeting deadlines, working long hours and because of such I always had a hard problem of controlling my anger when at home doing the most mundane things like fixing a leaky faucet. I would get frustrated and felt that everything was against me, why is everything in life so hard, I would rather be at work. Now that I am not working my anger has magnified -you would think that because I have all the time in the world things would be much better but in fact it is worse, I feel hopelessness, useless, and worthless, and even though I am married I still feel like I am all alone. I have a good friend that asks me to go out for a beer occasionally but I make excuses not to go. My wife does not seem to understand what I am going through, I might be to blame because it is hard for me to explain to her in detail, there is also a culture difference being that she was originally from Thailand. I do once in a while have my good days where I accomplish something I set out to do, but these days are rare and far in between. My only saving grace is waiting to go on my annual trek to Thailand as we do every year, I love going to Thailand and this year we plan to spend a few months instead of just a month but to be honest even the thought of this does nothing to motivate me. Comments for I have become irrelevant. Sheila - I am surprised that Wendy posted your comments which seemed to hurt the original commenter. Not everyone is joyful and grateful after such a big life change. Yes, there are those who have less, who can't walk, etc. But until someone can get past their own hurt and grieving, it is difficult to compare. I have always thought how blessed I am, but that did not make me feel joyful, even when I tried to force myself to feel so. Compassion toward all of those who have this major grieving journey, not judgment, is what I choose for myself and others. Start hiking man. I just retired this year and have been going through life adjustments as well. I find hiking in the woods fills my soul. We can chose a new path now, that is the beauty of retiring from being in a "have to world" that gave us very little time to be with ourselves. I am beginning to discover a part of myself that has been buried for a long time. I no longer carry the stress of running an all too consuming business. Do I miss some of that? Yes I do. But I am finding for the first time in over 40 years, that I have been given another shot to do something else. Well, last week (M-F Aug 15-19 2016) was my first week of official retirement. I was happy because the time did NOT buzz by, as it did when I was working. I don't want to get into the bad habit of staying home all the time, and just being on the computer or watching TV (BORING!) so I would take drives to spot planes at the airport while having lunch, visit places I haven't been able to do in the past, and trying new ventures. I too have a condo in Thailand and was thinking of staying there 3-6 mos a year BUT maybe I am getting old, I'm not wanting to be in that 91F 88% humidity year round there! To all you new retirees... ENJOY the free time you have.. make it semi-productive! I believe that no one is irrelevant. You may not think you have the relevance, you once had, but you are probably more relevant to many you are not aware of. Think of the stranger you pass and just smile at. Maybe that is all the needed to help them come out of the depression they are feeling. Think of the person you bent over and picked up what they dropped, and how possibly you helped them the pain they would have felt due to the bad back they have. Think of the cashier who is having a bad day, and you say good morning, or thank you. How about the person you allow the right of way when driving rather than show road rage because the were not paying attention to where you were. You are relevant, and much more than you will ever know. Thank you for writing what you did as it was relevant to many of us. I can really understand what you are going through. I am in the same position myself-65 and feeling Life has now run its course. It is no use, is it, people saying "Volunteer-make yourself useful-count your blessings" and all that "stuff". It has no effect, does it? So, what is the answer? I wish I knew!! Just felt I needed to reach out and share a thought or two. Be thankful that you are able to talk out or write out your concerns. Think of them as a challenge and take steps to find alternatives and solutions. It's been said that for every problem there is a solutions. You now have a chance to seek or create your life passion. Yes, you will say, but I do not have one. OK, then identify what it is that you enjoy doing and build up on that as you create your own. Last thought , keep on keeping busy. Having too much time in your hands, just complicates matters. Finally, find something to do for others. Especially those that cannot return the favor. There seems to be a lot of us that have measures of this problem. It's 2 years for me since retirement(age 65) and while it is getting better there are days when I feel so worthless and lost it is almost overwhelming. I guess one foot in front of the other and just keep trudging through it is all we can do. Wishing you satisfaction and Joy. Good Luck. This gentleman should look outside of himself and realize that there are people out there who do not have the advantages that he has, people who are suffering, hour by hour, who need help desperately. When he walks down the street (yes, walks!) he should look about him and really SEE how the other half lives, then go home and consider how he can help. Sorry, but I have no patience with him or others like him who do not thank God each day for the blessings He has bestowed on them, blessings they have probably not deserved. There are far too many letters like this and I am surprised that Wendy acknowledges them. Pay attention to Wendy, everyone! She knows what she's talking about!! My heart ached when I read your post. You finally captured the feeling I had during the early part of my retirement - irrelevant. I am so sorry that you are feeling such pain. 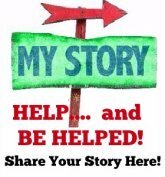 I will share my story in an effort to help you. However, there are so many on this site who have had similar journeys. Read the anxiety/depression section and you will see you are not alone. I took an early retirement (due to husband's health and the fact that company was changing retirement program which would disadvantage me). I had a mid-level professional job, 2 Masters degrees and a workaholic attitude. I was able to find a part-time job due to a contact I had - it was in my same field. After that ended, I have only found work in non-profits at about 20% of what I was making. I forced myself to go out and join groups through Meetup, local volunteer organizations and personal passions. Eventually, the feelings has subsided, but have never disappeared. I struggle with my non-employment EVERY DAY! But I choose my attitude and put the thoughts out of my mind. I have also done my own non-scientific study. Every time I meet a retiree, I ask them if they are happy. About 80% say YES - I just love it. 20%, however, do not (like you and I). I keep looking for the common thread. It would seem like some of us became too attached to the idea that our job is life. Others, who are happy, seemed to have kept it in its own box - just a job that they enjoyed. However, they had a full life and the job was just a means to an end. We can't go back, so we must go forward. I turned 60 this year and can't see myself feeling so unhappy for the remainder of my life. I don't want to waste it. Give yourself time to grieve and you may even want to pick a date at which time, you say "OK, I am moving forward". And then just do it. I can say with certainty that you feelings will diminish with time. And who knows, you may find work that interests you, although it may never look like the job you left. You have skills that are very much needed and in demand. I wish you the best, but most of all, peace within your heart. I was moved and motivated by your submission. Certainly retirement isn't for the weak of heart!! More so when support is lacking. When you were working what worked for you. For me, I loved a cup of coffee and reading the newspaper before the work day started, without interruption. It was the first thing I enjoyed when I retired. We only have ourselves in the end, so can you find ways to depend on yourself, embrace solitude for what it is good for, and learn to take care of your own needs? Have you tried keeping a journal, writing about the negatives, sure, but counter each negative with something about it that is a gift. Health first, get your thyroid checked, it is a silent disease that makes irritation worse. Try learning about anger management, what comes before the anger? What is so imperfect that you are impelled to change it? Ask yourself if it is true, is it really so irritating? Does the anger come from an old trauma. Just try re-writing the story you tell yourself, so you are the good guy, things come out OK in the new story. It sounds odd but it helps. It is fun to play with this, refrain from being only serious. Only in your own mind by the sounds of it. Why would you not go out and have a beer with a good friend, he or some of his friends may know or hear of thins that you can be very useful at. Just sitting there sulking over all of the stuff that makes you feel useless does absolutely nothing for you. Have you ever found any kind of hobby that you felt good about trying. Nothing good ever comes to anyone who does not try. If you enjoy talking to people go to some old folks home and get involved in listening to some of there stories. Have you ever thought about making apps for computers or phones or looking for people who need this work done, a lot of this work can be done from home with communication over the web. Also try some of these things in this list, I have not retired yet but will be there in 2 more months, best wishes dear sir. My goodness, I almost feel as if I've known you all my life! I too retired in 2013 after working with the Department of Defense for 30 years and 10 years with the VA after the naval base closed. I too have worked since I was a kid back in New York City and after 55 years of being employed, I retired at 65. My life changed so abruptly from getting up at 5 in the morning every day to just not doing anything. I mean, nothing at all. All I do is play games on the computer or watch TV all day and night. I feel so useless, because there is still so much in us, right? I mean, we're not ready for retirement homes! So just wanted to tell you that you are not alone. I have been depressed, too, up to the point that I saw a psychiatrist yesterday and he put me on Zoloft telling me that I have depression and panic disorder. He recommended Grief Therapy. Guess I won't be going back to him. So, I will not take the Zoloft, and will try to find something worthwhile to do, like volunteering or something, a hobby perhaps. I too am married and have wonderful grown children, but do feel lonely a lot of the time. So, take another direction. enjoy the life God has given us and thank Him for it. Please take care and keep writing, there are a lot of good people here! I would stand back and see how I can help others through any of the skills that I obtained in my corporate life. When I look at your situation I would take your 'software development' skills and go to meetups in your area that focuses on startups. Many of these potential small business owners or entrepreneurs are always looking for Apps. that they can use in their own business growth. OR maybe you could invent an App. of your own that leads to the betterment of society overall. I had a wonderful six weeks in Thailand long after my husband retired and know people from there and the Philippines who work in our retirement home. But what made our retirement good was working to make life good for other seniors. When my husband was 65 we joined a senior club. You are a senior at 50 we discovered did a lot of organizational work and entertained in clubs and nursing homes with pictures and stories from our yearly travels. Our senior work got us very involved in health care problems and my husband became very involved in visiting ill men for two health organizations. I worked with the hospital auxiliary etc. Retirement was worthwhile and enjoyable. See your MD for evaluation and try anti anxiety medicine and it will change your and your families future. I have just got adjusted by trying 4 anti-anxiety meds until I got the one that I felt helps the most. My problem was crying for no reasons. Retirement is a great adjustment. Keep trying to find what helps relieve your anxiety-teaching, part time work,volunteering, even living in the other country. For me I became a foster parent for babies and adopted my 6 day old son who is now 18...Include your wife also. Good luck and come back and let us know how u r doing.